There’s something very humbling about sitting out in the wild. About watching animals thrive in their natural habitat and being reminded that without the adjustments and complications we’ve created to make life “easier”, the world is, in fact, perfect. And so this week we’re blogging stories inspired by African wildlife. We started yesterday with our Parallel Worlds writing project, where we sat at a waterhole (virtually and in reality) and waited for animals to wander down to drink. Today, we’re linking through to posts that really do deserve to be seen, and tomorrow – well, those of you with a sense of adventure will be in for a treat! 1/ “Captured: That wild connection” is a slideshow of mesmerising portraits of animals, taken by some of the best wildlife photographers out there. 2/ Ever wondered what it feels like to sleep out in the open, with only a thin piece of fabric between you and the dark African night? “When nature calls” will take you there. 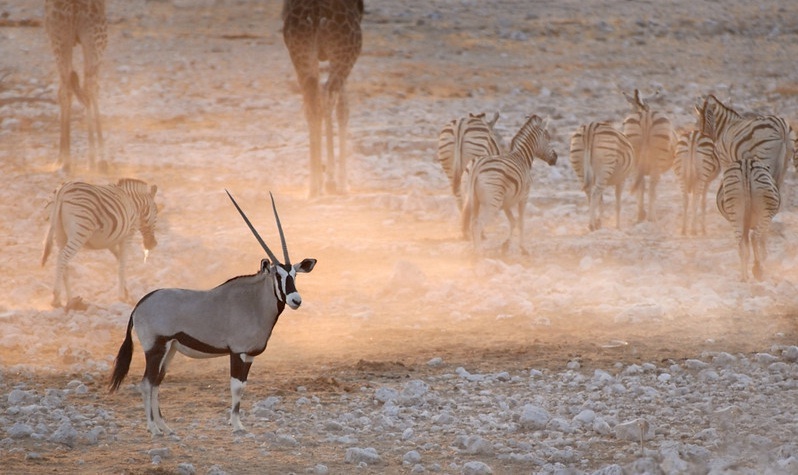 3/ “The best places to see wildlife in Africa” is pretty self-explanatory. If you’re planning that trip of a lifetime, be sure to take a read through this. 4/ If you want one reason to wake up in Africa, this image is it. Enough said. 5/ “7 tips for photographing wildlife” is an absolute must is you travel with a camera and want to avoid disappointment when you download your images. The post was written by wildlife extraordinaire Dale Morris, and the tips he’s given are very useful and relevant to both experienced photographers and happy-snappers. Wow! Quite possibly the best picture I have ever seen!! Breathtaking image; the words are enticing. Beautiful image, isn’t it? Dale Morris is an outstanding wildlife photographer.